As the prevailing winds of the global economy have changed, so Britain has been buffeted from boom to bust and back again. But how much is our country's economic landscape shaped by the huge forces of international capital - and the hope that 'something will turn up' - and how much by the individual men and women at the heart of our economic policy? David Smith forged his career as Britain's leading economic journalist during the country's traumatic transition from the 'workshop of the world' in the Midlands where he grew up, to an economy built on the sometimes shaky foundations of services and the City. 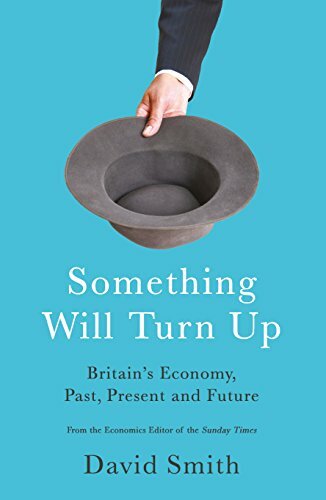 Something Will Turn Up is his account of the chancellors, prime ministers, Bank of England governors and senior officials he has encountered and interviewed over the last five decades, and their impact on the realities of modern British life since the war. Smith leads us through the mire of government policy and long-term trends with wit and clarity to paint a vivid, personal picture of how we got to now - and where we might go from here.